A wedding is one day, a marriage is a lifetime. Keep that in mind as you spend time preparing for that important day. I encourage couples to take some time in premarital counseling. We have been using a tool called, “Prepare-Enrich” by Life Innovations, at Saguaro Buttes. (www.prepare-enrich.com) Over 2.5 million couples have completed one of their couple’s interviews since it began in 1980. It focuses on 14 areas of significance in marriages and relationships, such as; communication, conflict resolution, financial management, spiritual beliefs, expectations, etc. Each couple is sent, through e-mail, a survey of up to 150 questions that they respond to separately. This generates a 15 page assessment which is used by the counselor when they get together. This is usually an enjoyable time and one that can open up some important discussions. 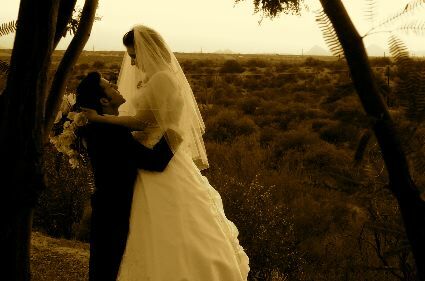 At Saguaro Buttes this is provided as a part of the wedding package. We are interested in helping your marriage be a success and believe this is one way that we can serve each couple. Each person answers the questions at their own pace. We usually spend one or two hours going over the results, after which we will have suggestions for follow up, resources, etc. to help each couple grow in their relationship. Just let the wedding coordinator know that you are interested and provide the following information; names, both of your email addresses, wedding date, and select one of the following assessments. 1. Living separately 2. Living together or 3. Living together with children. Each separate category has it’s own assessment so it is important to choose the correct one.